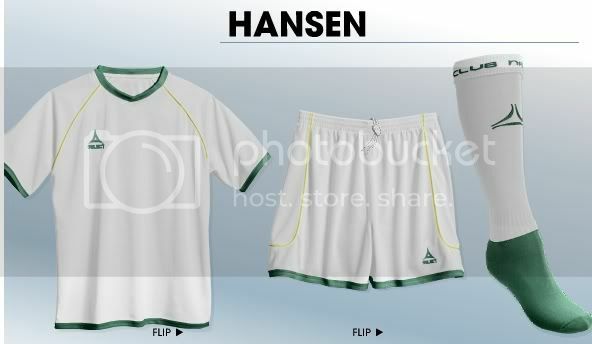 With the Rhinos moving from Joma to Select as the official uniform supplier in 2007, Rhino fans can go to Select's website and come up with various uniform combinations. 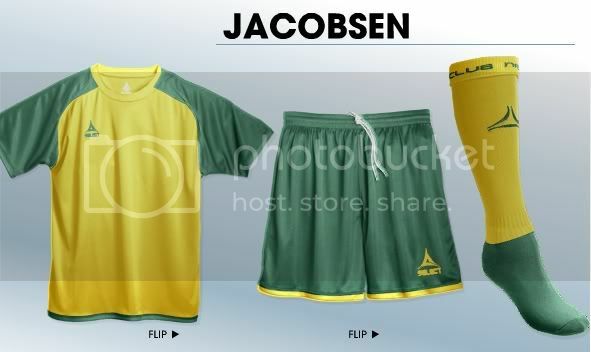 Personally, I'd like to see the team move away from the black and white vertical stripe look and get back to the team's true colors of green and gold in something like this. And in honor of last week's in-studio guest, Aaran "Kiwi" Lines, here is an All-White look. From the "Who didn't see this one coming" news file, New England Revolution midfielder Shalrie Joseph is asking for a trade after contract talks have broken down between the player and the club. Apparently the sides were close on the base compensation, but were miles apart when it came to the bonus structure of the contract. Joseph is less than thrilled with the Revolution after they twiced blocked Glasgow Celtic's attempts to acquire the Jamaican International on a reported $1 million transfer. Joseph, who is still under contract with MLS through the 2008 season, would most certainly have seen his pay grow substantially had the Revolution OK'd the transfer to the Scottish powerhouse. It will be interesting to see where Joseph lands. With his contract demands in the $300,000 range, it would appear that there would be a limited number of clubs that could fit him within their budget. It's going to be very interesting to see how this situation plays itself out.